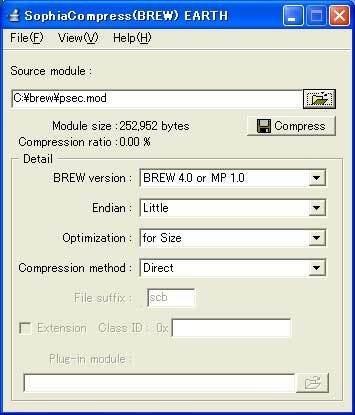 SophiaCompress(BREW) with graphical user interface is easy to use. Simply select the file to compress, and click the "Compress" button. Command-line user interface which can compress multiple applications is available in the Deluxe and Enterprise Edition.